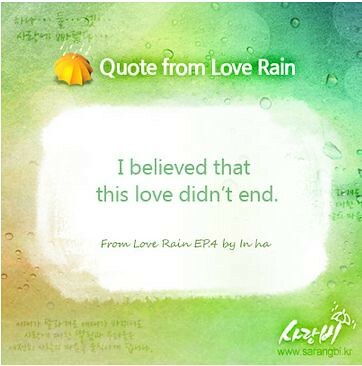 Tell us your favorite Love Rain quote! Tell us your favorite Love Rain quote! We will make them into an image! *This event has continued before. tenshi_akuma’s note: please tweet it to @LoveRainTV when you find some good quote in English! I’d be happy when you tweet, post your quote here, too.